The suspect in last week's Amber Alert, Ugo Fredette, who has also been charged with second-degree murder in the death of his partner, will be relocated to a Quebec hospital today. The body of Missing Man Found, Directly Connected to Amber Alert Case The body of 71-year-old Yvon Lacasse was discovered near the town of Arundel today by Quebec provincial police, after being missing for 5 days. Although it hasn't been confirmed by coroners, it has been stated that there is a copious amount of evidence suggesting it is the body of Lacasse. The body was found around 5:30 p.m. while an officer was searching around a wooded area along Chemin de la Rouge, a road that is right next to the Rouge River in Arundel. This location is of particular interest, due to the fact that Chemin de la Rouge and Highway 327 is a secondary road that connects Lachute and Mont-Tremblant in the Laurentians. Close to the area where the vehicle was driven by Ugo Fredette, the child's abductor was found abandoned during the September 15th Amber Alert manhunt. The child's name is currently undisclosed, due to the fact that he is under the care of child protective services, but Ugo Fredette was his father, who had separated from his former wife, the child's mother, a possible motive. To add to the already chaotic story, the child's mother was found dead in her home the day of her son's kidnapping. It isn't too surprising that the police instantly suspected Fredette, and they were correct to do so- Ugo Fredette is definitely capable of murder, as it has been confirmed by the discovery of Lacasse's body. All evidence points towards Fredette as being the murderer, the location is the most obvious, and also the fact that Fredette was driving Lacasse's Honda CR-V at the time of his arrest. According to Ontario Provincial Police, Fredette is still in an Ottawa hospital. 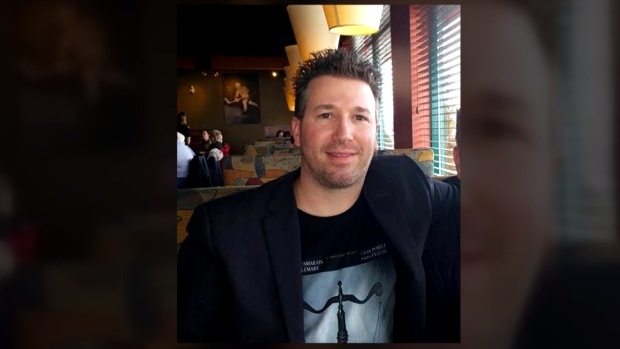 He was scheduled to appear in a Saint-Jérôme court today but Superior Court Justice Martin Castonguay rescheduled the hearing until next Wednesday, so professionals can adequately evaluate Fredette's mental and physical health before the trial. He was supposed to undergo various tests but was too agitated to comply, and so medical professionals put him to sleep. When all the medical tests were completed, however, they couldn't wake him up, and he was confirmed to be in a coma. Although he awoke today, they saw him as unfit to attend the hearing at court, understandably. Hopefully, we will get more updates on Wednesday of next week, when his official hearing is set to take place.